I love this time of the year! 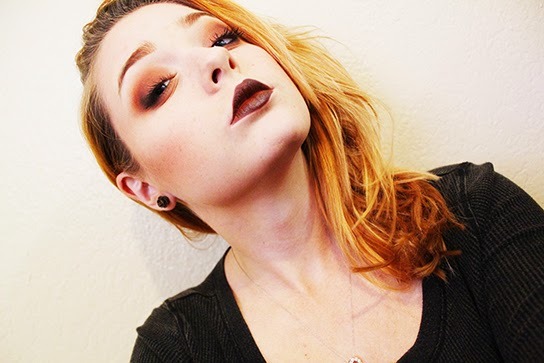 Smokey warm dark lips and eyes that burn like amber! I honestly think it really looks cool with my red hair too and makes my eyes look very green! This is something I honestly would probably only wear in October :p Seasonal you could say haha. I just found you today and I just wanted to say that all your makeup looks are super awesome! Great make up! I love Rimmel tribal punk but can't find it anywhere! It's the best eye crayon EVER!!! EMAIL: ARIZONAPROP1@GMAIL.COM IF YOU FIND IT. If they discontinued it.....aaaaahhhhh!